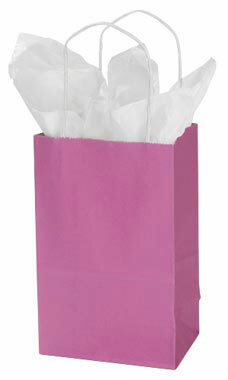 Shocking Pink paper shopping bags represent a wonderful color for making a bold statement. Pink is the obvious choice for any retail packaging option ranging from classic to contemporary. Our Shocking Pink shopping bag is a rich pink similar to the color fuchsia. These bags are an excellent choice for retail packaging options and crafting. Case of 25.